This weekend's storm knocked down a few trees and caused half of Westmoreland Terrace Condos to lose hot water for just under two days and a smaller share to lose power. A resilient resident lacking power was observed barbequing a steak in the Westmoreland parking lot. We will prevail. But what about two dogs wandering around lost in the storm? They are probably terribly frightened and upset. If you see Quinn or Zoe, contact their human friends immediately at the numbers listed on the signs below. 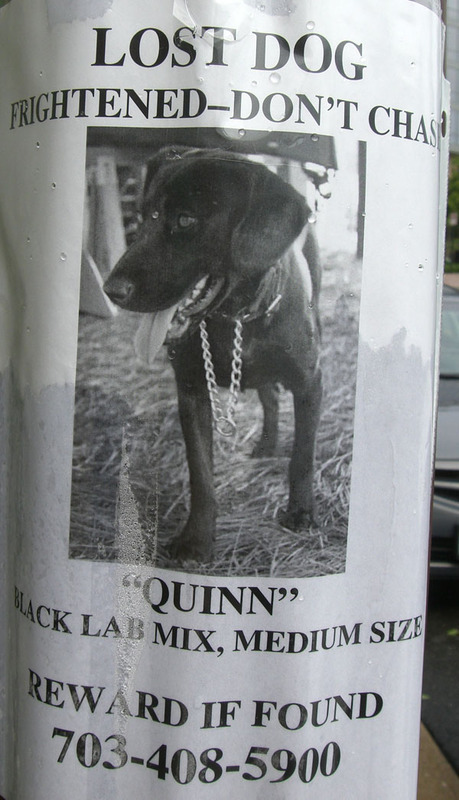 At least according to a forum posting on ARlnow, Quinnn has been found. 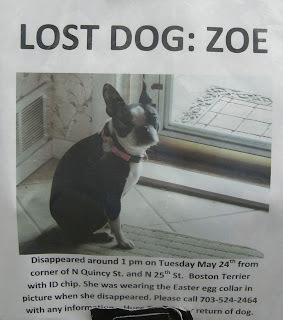 Has Zoe never been found. Those notices were all over Arlington. How sad.